Internal Insurrections: 10 USC § 331 is based on the 1807 Insurrection Act, authorizing the president to use military force to respond to internal insurrections within a state. Unlawful obstructions: 10 USC § 332 is based on Section 1 of the 1861 Suppression of the Rebellion Act, authorizing the president to use military force to deal with unlawful obstructions of federal law. 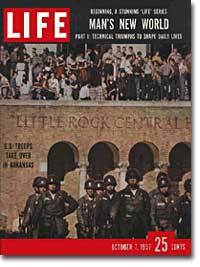 Civil rights: 10 USC § 333 is based on Section 3 of the 1871 Civil Rights Act, authorizing the president to use military force to deal with private acts of violence in violation of federal law. 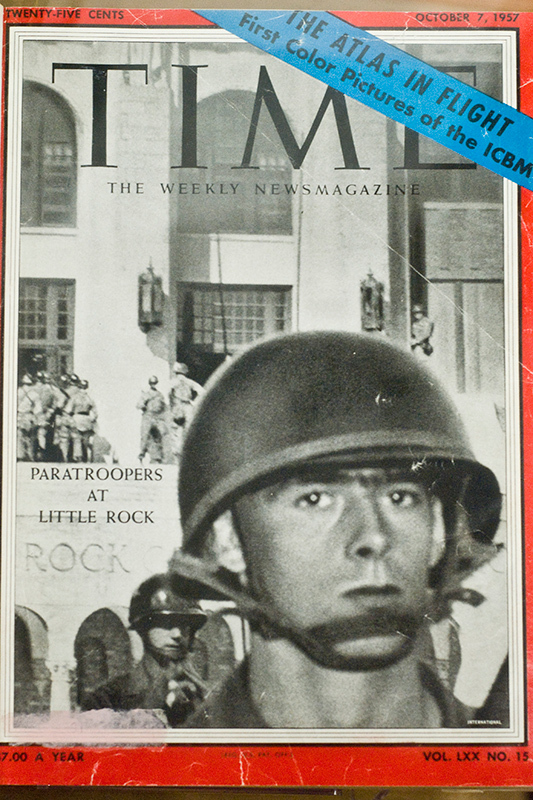 So, which of these laws did President Eisenhower rely on when he issued his proclamation and prepared to give the order to send U.S. troops into Little Rock? Eisenhower’s formal proclamation specifically refers to Sections 332 and 333. (Notice the omission of Section 331, which requires a request from a state legislature or governor before the president can use force.) To our mind, the invocation of Section 332 makes sense, since Governor Orval Faubus had used the Arkansas National Guard to impede the court-ordered integration of Central High School, and likewise, the reference to Section to 333 also makes sense, since mob violence had occurred on the grounds of Central High after Governor Faubus had removed the Arkansas National Guard. Before concluding this series of posts, we now wish to pose one last question: what should we call this body of law? We shall pause to address that question in our next post.